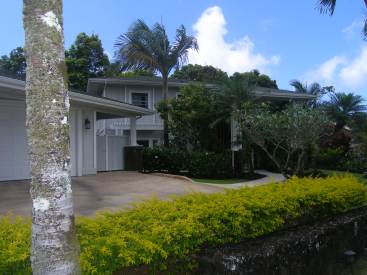 Welcome home to this spacious two story Princeville Home located on the Makai Golf Course Hole #11. 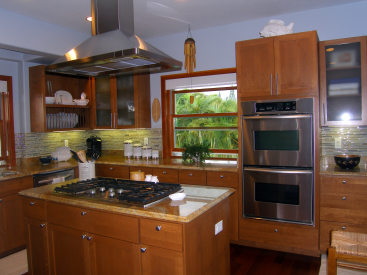 This fabulous home was built in 2005 and is in “like-new” condition. The upper level living has an open floor plan with views to the golf course. The Bellawood hardwood flooring brings beauty and warmth throughout the home. 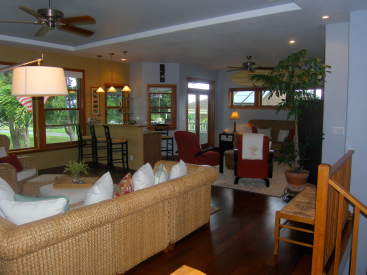 The great room includes a living room area with a wet bar and transitions to a media room. On the other end of this open floor plan you will see the dining area and the kitchen. The kitchen has all the elements that you expect from a high-end home: granite counter tops, stainless steel appliances, double oven and a center island. A Powder Room is also located on this level. 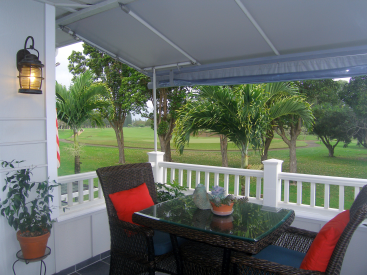 The covered lanai off the great room is a great place to dine and entertain with views of the mountains, a sweeping view of the golf course and even a view of Bali Hai. Extra-wide stairs lead from the entry to the upper and lower levels. The master bedroom/bath suite, an additional bedroom/bath suite, a third bedroom and a third bath are located on the lower level. Located on this level is also the spacious laundry room with double doors opening to the back yard and a large walk-in storage closet. 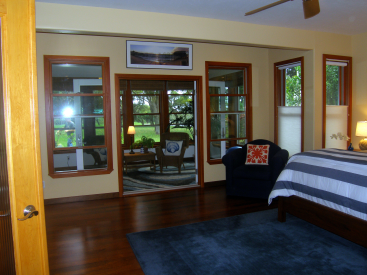 The master bedroom has a private sitting room with lots of windows. Enjoy your morning coffee or evening reading or make this an office. The master bath has dual sinks, bathtub and shower and a walk-in closet. A second bedroom/bathroom suite also has a private sitting room with lots of windows. Use this additional space for another office or for a private place to relax. The third bedroom is also on this level. 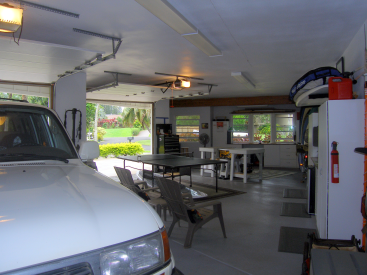 The extra-large detached garage offers space for 2+ cars and a workshop. An outdoor shower is between the garage and main house. The outdoor space is beautifully landscaped and has an irrigation system.